The campsite Bel Air ***** on Le Château d'Olonne is a campsite 5 stars warm and friendly, in only 2km Les Sables d'Olonne. We propose you a wide range of recent mobile homes with wooden semi-covered terrace (TV and plancha included in the price of the rent) as well as locations campsites any options (electricity, refrigerator, bike, WiFi and barbecue). 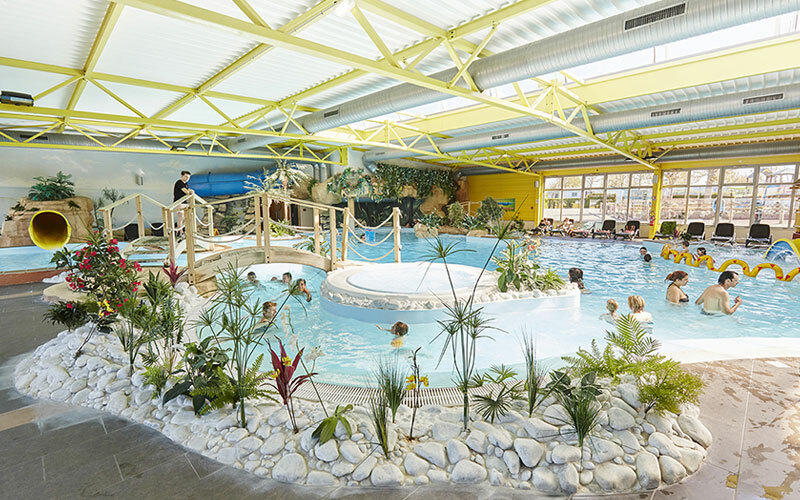 Come to relax you in his aquatic complex covered and warmed with swimming pool, slide, paddling pool, waterfall, river against the current, spa bath. From April to November, we share with you the enjoyments of the stays in campsite through the recreational and sports activities and the animations for children and adults. You will find all the services and the essential businesses from the opening of the campsite: bar,restaurant, pizzas, grocer's shop, bakery.